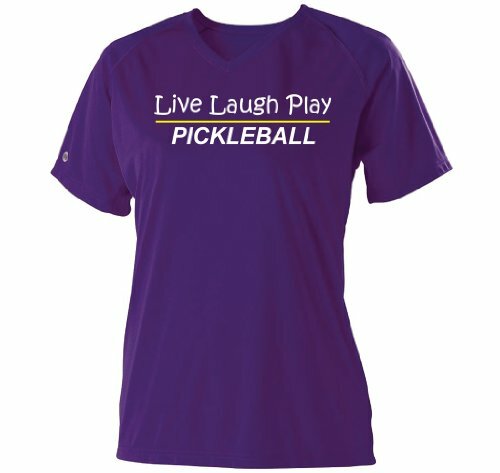 We’ve seen a LOT of pickleball shirts – both on and off the court! But our whole goal here is to show you just the cool shirts – not just dump a ton of random designs that you’ll have to waste time searching through. 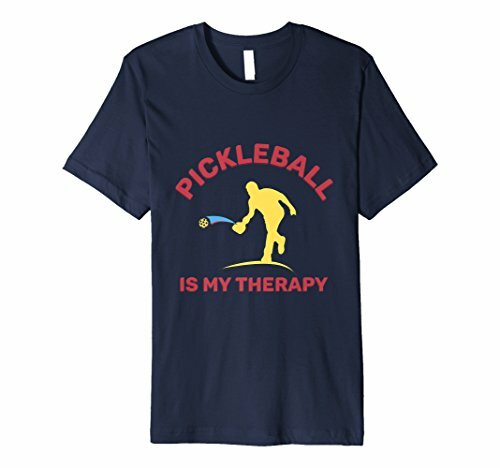 Whenever we find a new pickleball t-shirt we feel is worth passing on we add to this page. Looking for a unique design that none of your pickleball friends has yet? 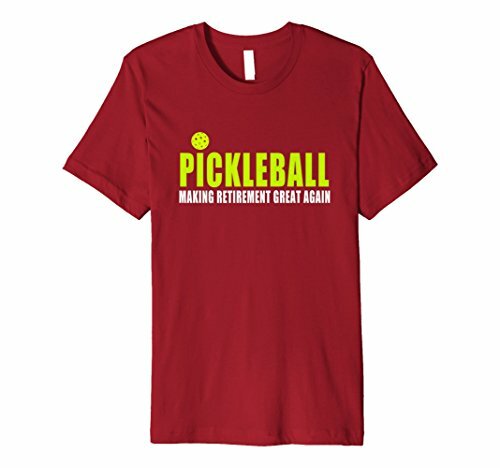 When it comes to buying t-shirts online nowadays, there are so many options that it can be very time-consuming to find a decent quality pickleball shirt that also matches your style. Luckily we love scouring the internet in search of cool stuff (especially anything related to pickleball) and we also appreciate great design. To organize it a bit, we’ve broken down the shirts by style, common pickleball phrases and by the type of person you are looking for (in case you’re looking for a gift shirt for grandpa for example). Whenever possible, we’ve added a link that will take you to a landing page with all the options for that same design in different colors and styles (T-shirt, long sleeved, sweatshirts and hoodies). 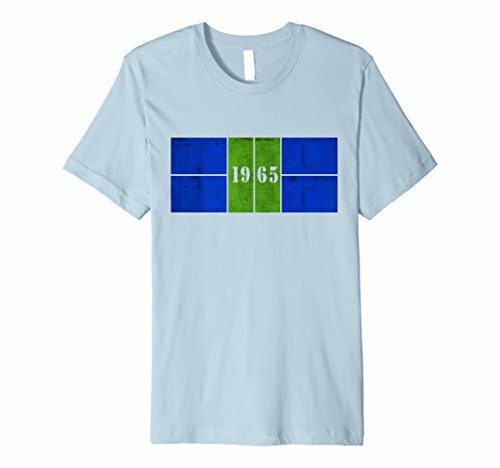 The sport was invented in 1965, these vintage pickleball shirts celebrate the origins of the sport. It’s a pretty well-known stereotype that a lot of people start playing pickleball when they retire (or up their dosage during retirement). These are are some fun shirts for retirees to celebrate their newfound freedom. Much of it comes down to a question of personal taste and sense of humor but we took a vote among our pickleball-playing friends and these came out with biggest laughs. Beer Drinker Do You Pickle? 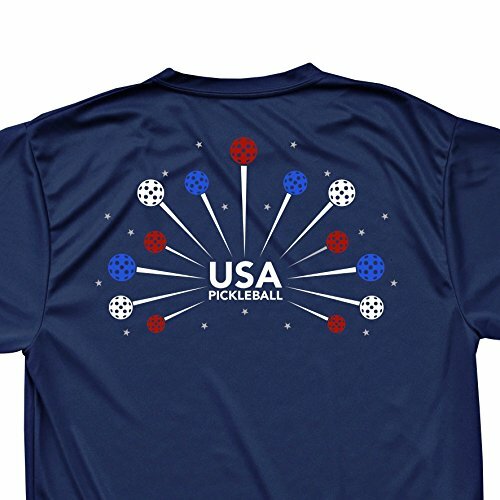 These next ones are definitely unique pickleball shirts! Honestly, some of these are just wild looking. These may not appeal to everyone but if you appreciate original hand-drawn artistic tees, these are worth taking a closer look at. Unless you’ve been in a cave for the past 20 years you’ve most likely bought something off Amazon – or at least visited the site. 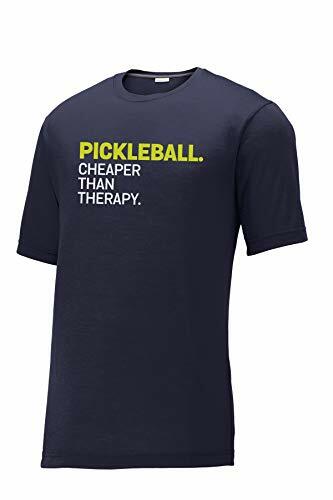 Last time we checked, there was over 10,000 pickleball themed shirts on Amazon alone…and dozens more being added every day. While choice is great, there is a point where too much choice may be a bad thing. 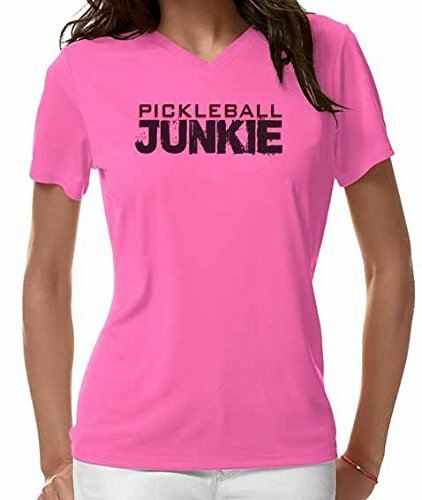 We love searching for cool pickleball stuff so have spent a LOT of time (too much probably) surfing the Amazon looking for the coolest t-shits. Prime Shipping: Many t-shirts on Amazon qualify for prime shipping – If you are an Amazon Prime member – that translates to getting your shirt orders in two days or even sooner- depending on your location and the products you order. If you don’t have prime you can get a free 30-day trial here. 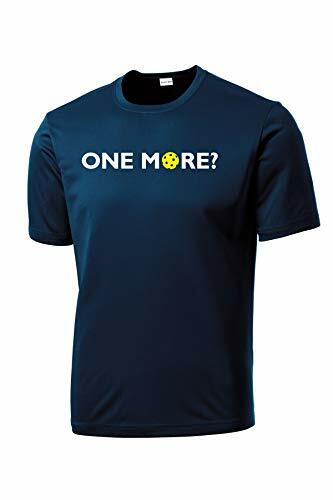 Choice: There is a huge volume of shirts to choose from on Amazon – so many it can hard to sift thru the results…which is part of the reason why we decided to create this page. 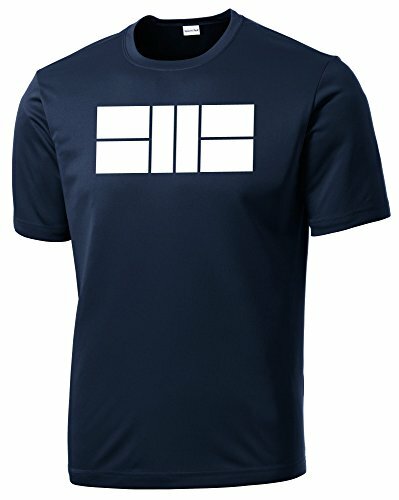 Amazon sells apparel from well-known major t-shirt band names as well as small independent designers to small family-owned clothing companies. 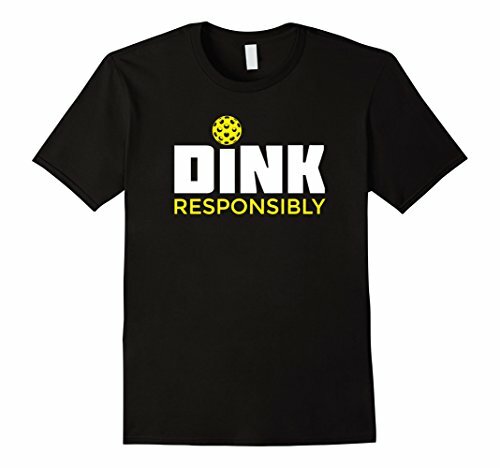 If we had to name one disadvantage, it would probably the lack of other shirt styles other than the classic tee. There are a ton of options on Amazon. 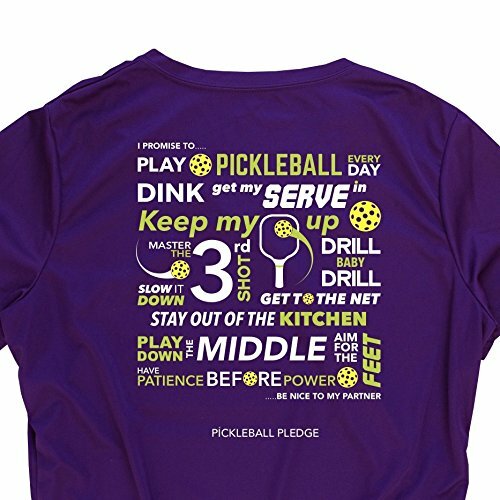 There really are a daunting number of pickleball-themed shirts (some great, some not so great) but our observation is that the majority currently being sold are classic T-shirts (although more and more long sleeved tees are showing up, and being Amazon, more and more products are always being added). 2018 Update: We have recently seen a lot more options being added in the past few months, especially more long sleeves as well as pickleball hoodies and sweatshirts. Etsy was started in 2006 and is based in NYC. Etsy currently sells over 45M products from nearly 2M different independent sellers. The site features original work from artists and designers from around the world. Sellers create an Etsy store where you can shop all of the goods in one place which makes it convenient. We first found Etsy as a place to buy handmade crafts and artwork but now there is a wide range of things you can buy. 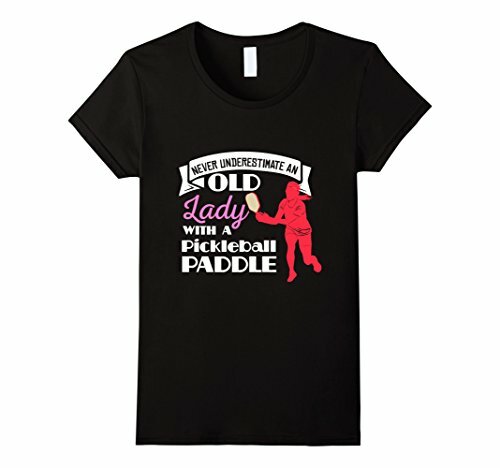 There are several sellers on Etsy that sell pickleball clothing and apparel but also Etsy shops that specialize in pickleball equipment and even pickleball themed party supplies and jewelry. Advantages: Direct access to independent artists and small t-shirt companies. The interface is user-friendly and it’s easy to see all of the seller’s goods in the shop storefront along with reviews of their products. There is also a seller bio in the shop to learn more about them and way to contact them if you want to learn more about their products. Redbubble was started in 2006 in Australia to create a platform for individual artist to sell their artwork. It has since grown to be a global site with over 400K artists selling their original art and designs. The look and feel Redbubble shows they make design a priority. They also print the designs on over 60 different products. You can find anything from pickleball hoodies and sweatshirts, pickleball themed wall clocks, pickleball notebooks, stationery and greeting cards to pickleball cups, mugs, travel mugs…even pickleball scarves and bedspreads! Originality: Designs on Redbubble tend to be of high quality. Although this is very subjective, most people will find the designs to be artistic and original. There is a little of everything but they don’t accept all designs so from the start the bar is set higher than some other sites. 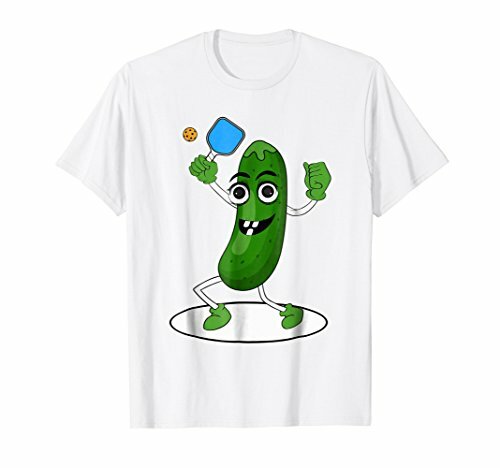 Variety of products: As we mentioned, the number of pickleball themed products you can find on Redbubble is impressive: iPhone and android pickleball phone cases, tablet cases, pickleball skirts, dresses and leggings, pickleball bags and rarer items and accessories including home decor and pickleball stickers. Disadvantage: Shipping costs are not included in Redbubble sales, however, they regularly run special deals and discounts on their social media accounts. One other thing about the site is that because they have the designs available on so many products, sometimes it can be hard to find things. Say you find a “Dink Responsibly” T-shirt you really like, but you want it on a hoodie- it’s not always easy to find the other options available for that same design. I love the display on the site- the photos of the models are large and you can see the designs well but that’s my one complaint. When we talk about traditional T-shirts, most of us are thinking of classic tees that have shorter sleeves- that usually fall somewhere mid-biceps. However, now there are many modern sleeve lengths available which we briefly outline below. Sleeveless T-shirts are often times called “tank tops”. This style of shirt has straps that hold the shirt over bare shoulders. The strap width can vary from “string” straps to wide ones that cover almost the entire shoulder. Shirts made with very thin straps are also often called camisoles. The very wide style is often referred to as men’s muscle Ts – because the shirts show off their entire upper arm and often have a low cut neckline that leaves the entire upper chest exposed. Sleeveless shirts are more popular in summer: warm weather, gym workouts or as beachwear. Women sometimes wear these as a combo with the long-sleeved shirt over the sleeveless shirt- which can work as a fashion statement. Cap sleeve T-shirts are mostly designed for women. This style sleeve covers the top of the shoulder but doesn’t extend under the armpit or down the arm. They are sometimes embellished with extra material and can puff out and be somewhat frilly. Cap sleeves can be used to accentuate a woman’s shoulders and the appearance of broader shoulders may give the impression of a slimmer torso. Short sleeve shirts are the traditional and most common look of the classic tee shirt and have been globally accepted as a comfortable and attractive cut. Although exact length can vary, on average the sleeves cover roughly half of the upper arm. The fit can widely vary from baggy to very slim. In recent years we’ve seen a trend, especially on younger (and fitter) men, to wear very fitted sleeves that stretch across their biceps to show off muscles. This style was previously considered more feminine but has become a more unisex style that can look good on a man or a woman. Women’s short sleeve shirts come in a wide variety of cuts from very boxy and square to tightly fit. Long sleeved T-Shirts come all the way down the arm to the wrist. It’s a bit of a misnomer since they don’t really have the classic “T” shape but the name has stuck. Some long sleeve tees have a wrist cuff- with a seam a few inches up the sleeve, sometimes with extra thick material or stretchy fabric to hold the sleeves down at the wrist. They also may be cut in a way that narrows at the wrist for a slightly snugger fit. The long-sleeved T-shirt is popular in fall and winter – colder weather – but may be a bit deceiving, apart from the longer sleeve length, they are still normally made from one single layer of cotton fabric, so not really that warm. Although people refer to this as a “raglan sleeve”, the term doesn’t really refer to the sleeve but the style. It’s really another way to describe a baseball T-shirt (see above). The main difference from a design standpoint is that the sleeves are sewn on to the torso of the shirt at a diagonal – rather than a straight T- it’s more noticeable if you lay the shirt out flat. The other main distinction is the sleeve fabric color is often different from the rest of the shirt. 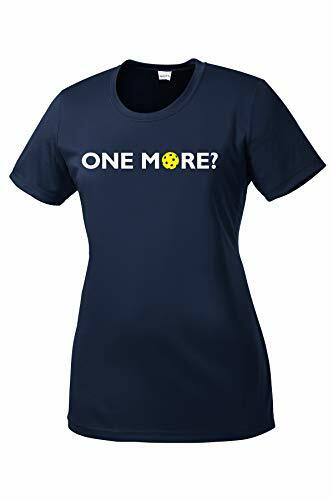 Interesting fact: According to sources, the T-shirt has been around at least since the late 1800s and gained popularity after the US Navy started to issue them as an easy and button-less, slip-on garment during the Spanish American War (1913). Since that basic T-Shirt, apparel has evolved from a plain undergarment to a modern fashion statement- and there are many variations on the original design currently for sale. Not a whole lot of explanation needed here. The classic design where the short sleeves cover the upper arm. A basic T-shirt is a solid color or patterned fabric. It has become a standard part of the modern clothing in part because it is versatile and simple design with no buttons or zippers. Cotton is the most common fabric used although they can be made in a synthetic or blended material. A graphic T-shirt defines itself by having a printed image on the fabric. This is a very popular style for both men and women. Decades ago the idea of an “Iron-on” popularized the graphic tee. Most often now, the images are applied to the fabric using screen printing techniques that leave a layer of ink into the top layer of the fabric. Sometimes dyes are be used for creative effects. Graphic T-shirts have become more popular over the past few decades due to pop and rock concerts but has exploded in recent years with graphic tees for every hobby, special occasion, passion or sport. 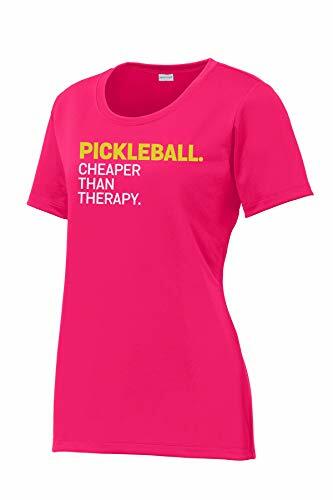 Just search “Pickleball shirt” and you’ll get hundreds of thousands of results! Online you can now find graphic tees for almost any hot topic-T-shirts with Twitter hashtags can be seen online within hours and graphic tees have become a medium for people to express opinion and support or disagreement on any hot trending topic. Embellished T-shirts are decorated with something other than ink or a combination of ink and other materials. In general, these tend to be worn by young women since T-shirt embellishments use accessories like bows, sequins, stones, studs, glitter, rhinestones or other shiny objects that sparkle or shine. They can be used to form shapes, spell out text on the shirt or add emphasize. The shape of a T-shirt’s neckline also varies. Often, men and women find the choice of a neckline to be determined by a combination of comfort as well as style. The round neckline is the most common on T-shirts. It’s considered the most modest neckline since it comes up just under the neck and covers all of the wearer’s upper chest. Women who don’t want to reveal too much as well as most men’s classic tees use the style. It also works well for layering, for example when used in conjunction with a long sleeved or flannel shirt over the short sleeved shirt. Some people do find it too restrictive and tight around the neck so may opt for a lower cut. V-neck T-shirts form a signature point similar to the letter “V” at the neck. It’s a more revealing shirt that can extend several inches down the neckline. If can be a flattering look although a lot comes down to personal choice. Some may find it too revealing as some deep cut V necks can expose the upper chest but there is a full range of V neck cuts available – from a very subtle V to a deep cut neckline. It gives the person a more breathing space around the neck area and open feel which some people prefer over traditional round neck T-shirts. 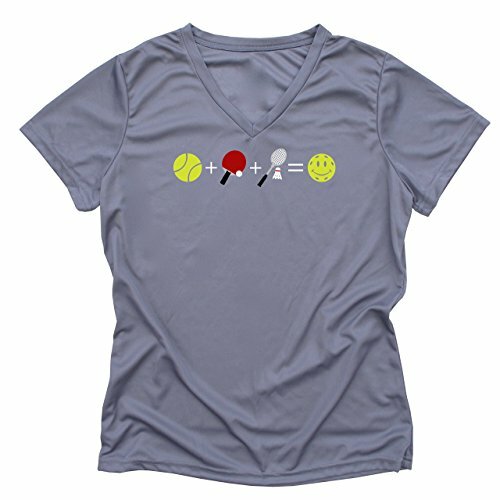 The scoop neckline a much wider and rounder shaped neckline, because it’s considered much more feminine, the scoop neck design is rarely used on men’s shirts but occasionally can be found for women’s pickleball T-shirts designs. It’s round, low and often falls down well near the sternum which for many wearers can feel too low. The rounded shape can also drop the shirt so it sits farther down on the shoulders and can expose some bare skin on your back. Love it or leave it- it’s a unique look. This term refers to the style of the shirt where the shoulder straps are joined together in one wider swath of fabric between the shoulder blades. This is often used on a tank top or sleeveless shirts. It’s also a commonly used design on sports bras. This is a general term for a variety of styles but the main character is that it has a larger than normal arm opening but the shirt narrows sharply at the sleeves. The very wide arm opening tapers at the sleeve, sometimes leaving a lot of excess fabric beneath the upper arm- this style also includes the “batwing” look. T-shirt comes in several different fits for men and women. In recent years the trend seems to be more fitted although not that far back baggy loose T-shirts were popular and there are still many people that like the looser feel of a classic tee – and don’t want that clingy feeling. 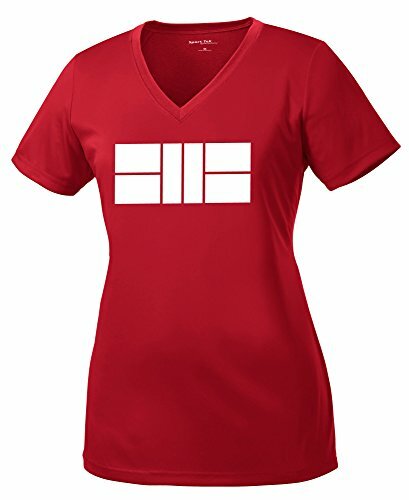 Women seem to have more options since many shirts come in styles that are specifically designed with a woman in mind: scoop, racerback and deep V necks. Luckily for online shoppers, many sites now show the t-shirts on a model (like we have done for you here on our site) or they at least they show the design mocked up on a t-shirt. Hi were having a pickelball tournament and would like to have long sleeve dry fit shirts for 80 women. Anyone know where I can find the best prices?? 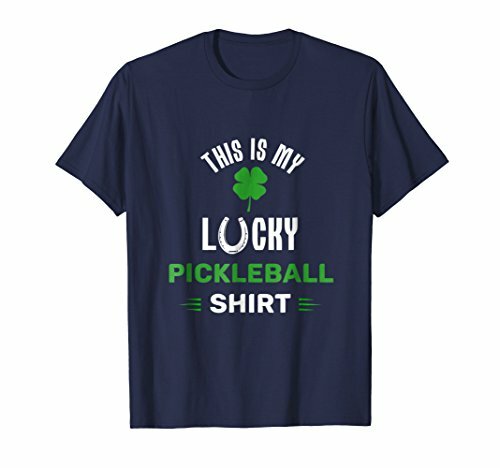 For performance shirts for a pickleball tournament, some of our readers have recommended Custom Ink for adding a custom logo/t-shirt design and ordering shirts in bulk. They do have a long-sleeved quick-dry option here. For bulk orders of 80 and just one-sided design, it gave me a quote of about $15/shirt -which is pretty competitive compared to other sites I’ve researched. 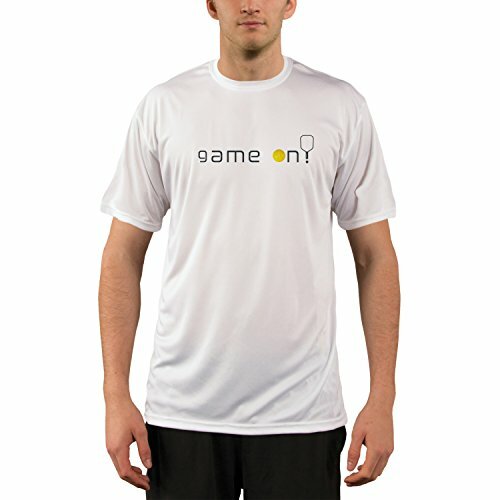 Another option I’ve used in the past for shirts is Zazzle, they have similar Sport-Tek performance shirts here. The main problem I find with Zazzle is that when you click on personalize or “Create your own” at the top (to add your own design), a lot of the shirt styles tend to be out of stock so it might be tough to find long sleeved quick dry for women. If either of those work for you, or you find a better option, please let me know as it would be good to share the info with other visitors on Pickleball Portal.